Our training team and project managers work with you to provide a range of consulting, training/support, and learning tools that ensure your rollout is highly successful. 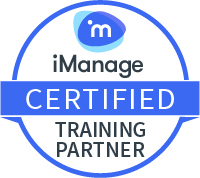 Capensys is a certified Training Partner for both iManage and NetDocuments. We only employ trainers with extensive experience training legal applications. All trainers are thoroughly and personally vetted by Capensys and undergo a train-the-trainer process. Our Goal-Based training methodology guarantees optimal user adoption and stakeholder satisfaction. We use a workflow-based, blended training approach that targets the right audience with the right learning. Your users don’t have time to learn anything that is not relevant to how they work. 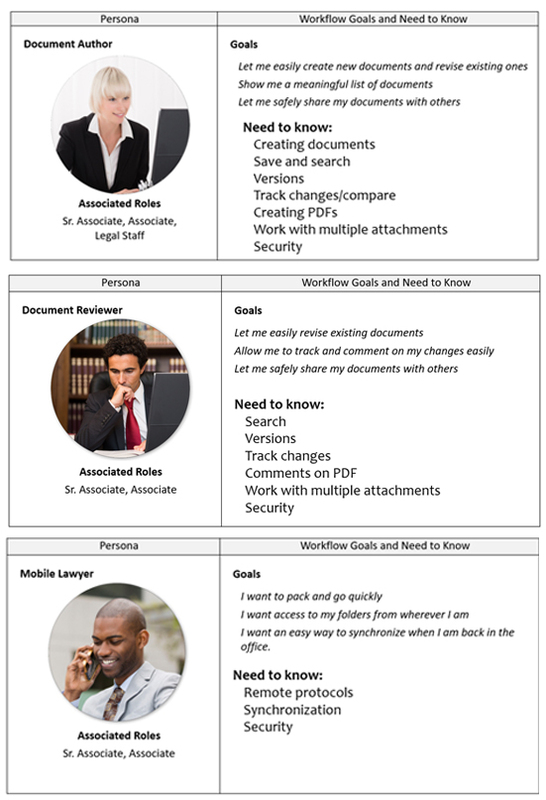 Understanding broad user profiles will help you communicate, market and train users according to their workflows. It ensures you are targeting the right person with the right information and tools.